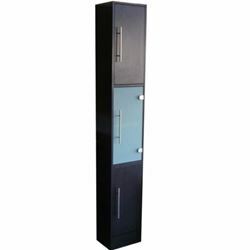 This trendy SIDE CABINET with rounded corners provides superior storage and elegant style. It features 2 large storage areas with soft closing doors. The doors feature Blum hinges ensuring the doors close silently and effortlessly every time.